By the Slaves of the Immaculate Heart of Mary. 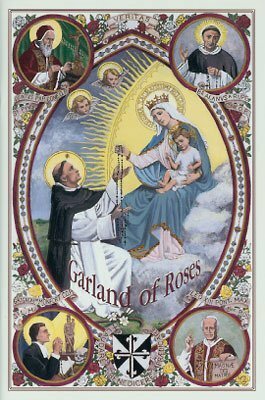 This beautifully illustrated book on the Rosary combines practical advice and meditations on the Rosary from several of the saints and doctors of the Church. Includes explanation of the 54-day Rosary Novena and the battle of Lepanto. 70 Pages, 5.5" x 8.5". This catalog entry is for five copies -- save $5!